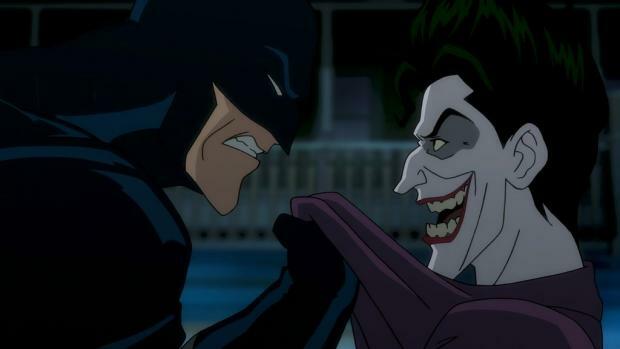 The First Trailer For Batman: The Killing Joke Is Here…Kinda? It will be interesting to see how honest the animated film is to the source material. Warner Bros. has reportedly given the ok to make the film R-rated (isn’t everything these days?) but a rating has not been given yet. You can watch the “trailer” (and more) after the break. I found it a bit weak (and wonder how legit this is, more on that after the break as well) and I don’t know that it would draw in many fans who don’t already have some idea what is going on. But they still have time, and this feels more like a teaser trailer than a full trailer. But with Kevin Conroy and Mark Hamill on board as Batman and the Joker respectively, count me in. The first two seem to feel a bit cheap and poorly edited and I get the feeling these “trailers” are fan made and have been edited and spliced together from the preview. The preview is well made, so if you can only watch one, watch that. If you just want to see the footage without much else, watch the others. In either case, this is an exciting project and with this much footage hitting the mainstream outlets, I’m sure we’ll get an official trailer soon enough.